The University is already offering Higher and Degree Apprenticeships in Chartered Management (CMDA), Higher Apprenticeship in Construction Management with pathways for Civil Engineering & Built Environment, Chartered Surveying, Chartered Legal Executive and Healthcare Science Practitioner Degree Apprenticeships. Future Higher/Degree Apprenticeships will include Digital Technologies, Manufacturing Engineering, Product Design & Engineer, Civil Engineering, Policing, Social Work, Nursing, Nursing Associate and Paramedic Degree Apprenticeships. 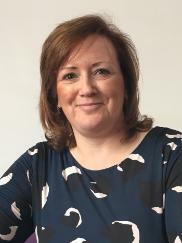 Michele Roberts, Head of the Apprenticeship Hub at the University, said: “This is fantastic news for the University and will really help us to build on the work that has already gone into developing our industry-standard Degree Apprenticeships. “Companies with a wage bill of under £3 million are eligible for 90% funding for Degree Apprenticeships and this additional money will allow us to increase our offer and support more and more businesses looking for Higher/Degree level Apprenticeships for their employees. Companies interested in Degree Apprenticeships should contact the Apprenticeship Hub on 01902 321000 or email: enquiries@wlv.ac.uk.